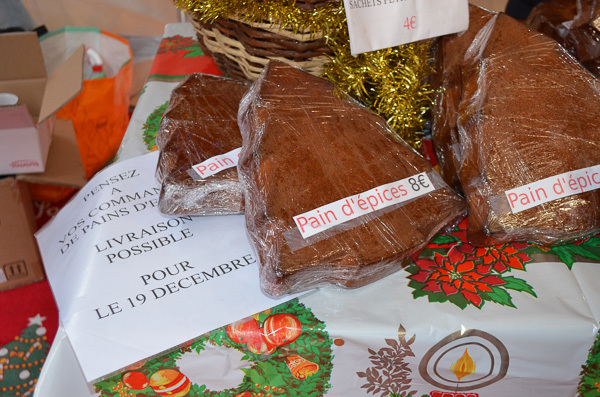 Christmas traditions in France vary according to region. Up until 1790 France was a bunch of individual provinces with their own customs and their own ruler. Today there still remains wonderful differences in their French Christmas traditions. This area is closest to Germany. 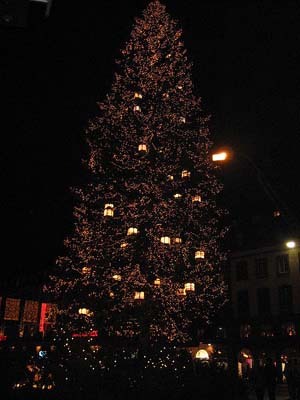 The outdoor Christmas tree is very popular, as it is in Germany, while in the rest of France Christmas trees outside are not so popular. There is a beautiful torch procession of skiers down the slopes of the Alps. French holiday traditions in this region include locals carry lanterns to Mass on Christmas eve. Juniper branches were burnt in front of houses to ensure prosperity in the coming year. The Réveillon, the Christmas feast consists of much more simple food than say, in Paris. And, instead of the bûche de Noël they will have a tart for dessert of prunes, pears, or squash. New year in Alsace, France includes the old tradition of baking a loaf of white bread at home. Called the “chalanda”, back in the old days this was a big treat and the only white bread for the entire year. Bredele are delicious and colorful butter cookies baked and eaten at Christmastime. Christmas Markets sell a huge array of traditional French Christmas food like this one in Grenoble. 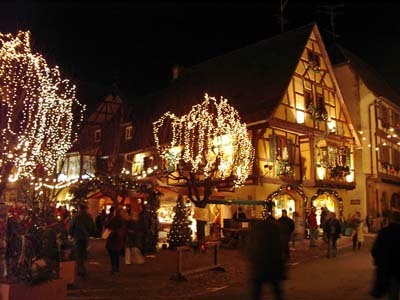 Equisheim is located on the wine road in Alsace. Wine is an important part of French culture and tradition. 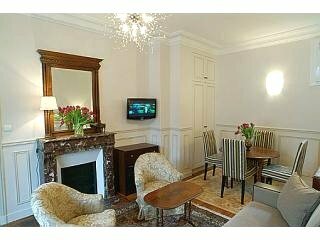 Visit the French wine regions for a culture filled trip of wine tasting and beautiful scenery. Many French Christmas traditions are shared by all of France. 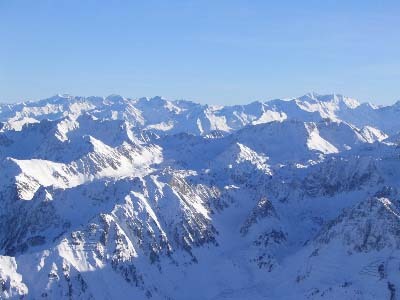 One includes the holiday break as many people flock to the French Alps for a skiing vacation. Christmas in France offers so many exciting non-touristy things to do or from your own home a way to learn a new cultural holiday traditions. Christmas traditions in France in the province of Lorraine (in the North East) includes the patron saint of the Lorraine, Saint Nicolas. Saint Nicolas Day, his feast day, is December 6. It is celebrated with a families exchanging of gifts, candy and other things. December 6 is a major festival. There are processions thorough the towns and village streets led by a man dressed as St. Nicolas. 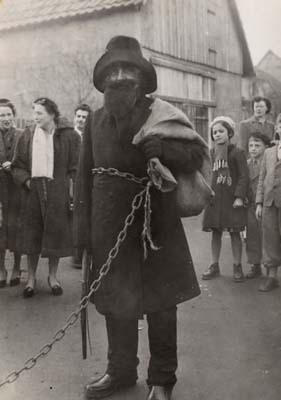 Also in the procession generally bringing up the rear, is Père Fouettard (Father Whipper). He wears dark robes and carries a switch. He tradition is to spank naughty children. Paris at Christmas is wonderland of beauty with lots of fun things to do in the spirit of France Christmas traditions in France. Provence’s specialty is beautiful Christmas Eve processions through the towns. Locals dressed as shepherds, recreate the story of the nativity with French Christmas carols and music. These processions started in the Middle Ages and continue till now. Sometimes live animals are part of the production. This is a local and one of the big tourist attractions in France at Christmas. The procession ends in the village square with a living crèche. Provence is also known for their beautiful Santon de Provence. Hand crafted in Provence these figurines populate crèche scenes at home. In the historic port city of La Rochelle on the Atlantic coast, a live Père Noël wears wooden shoes and walks through the cobblestone streets. Instead of a sack, he carries a basket on his back filled with presents. For Summer holidays, the French flock to these beautiful wide France beaches there on the coast. 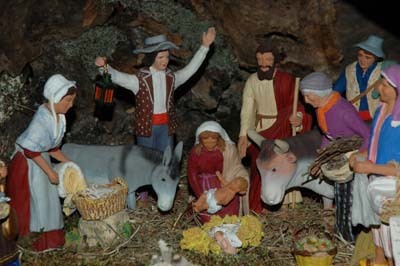 The abbey of Mont St. Michel has Christmas pilgrimages. Tourists and locals follow the priests up from the town at the foot of the abbey up to the top. This is a big tourist attraction in France for those who are in good physical condition – it’s a steep climb! The next day they eat their Christmas feast usually around noon. (my Breton in-laws even though they are in the States now still have their Christmas feast at Noon. This is something I can’t get used to. The Christmas day feast includes the bûche de Noël (yule log) for dessert. I’ll never forget the first time I had it…so delicious! You can include it in your holiday feast too, using this yule log recipe. It’s one of the famous French desserts in France. Brittany France has some wonderful Christmas stories that they pass from generation to generation. This angel of the sea appears each Christmas eve night to sailors at sea and guides the lost ships to safety. Children’s story of a tiny bird who was in Bethlehem when Jesus was born. Whenever Mary got tired because Jesus was crying too much the bird sang and put him to sleep. The bird also sang to Jesus when he carried the cross to ease his suffering. The little bird plucked the thorn from Jesus’ head to ease his suffering. From this, a drop of blood fell on the bird’s throat, hence his name which means red throat. When Jesus was about to die the bird gathered his last breath and carried it to heaven. God allowed him to live on the earth forever. Each year at Christmas the bird searches for the most unhappy child and grants the child a wish. The Pyrenees are located in southern France near the Spanish border. 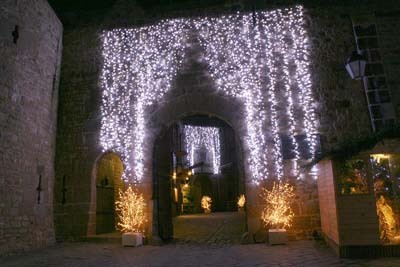 The area shares a mixture of Spanish and French Christmas traditions. Presents are delivered on January 6, not on Christmas day as in the rest of France. They are brought by the three wise men (not Père Noël). The culture of France has many rich traditions and customs. The best airport in France closest to your destination.